Keep positive with this delightful charm which symbolises the hope and renewal that’s harmonious with the promise of Spring. 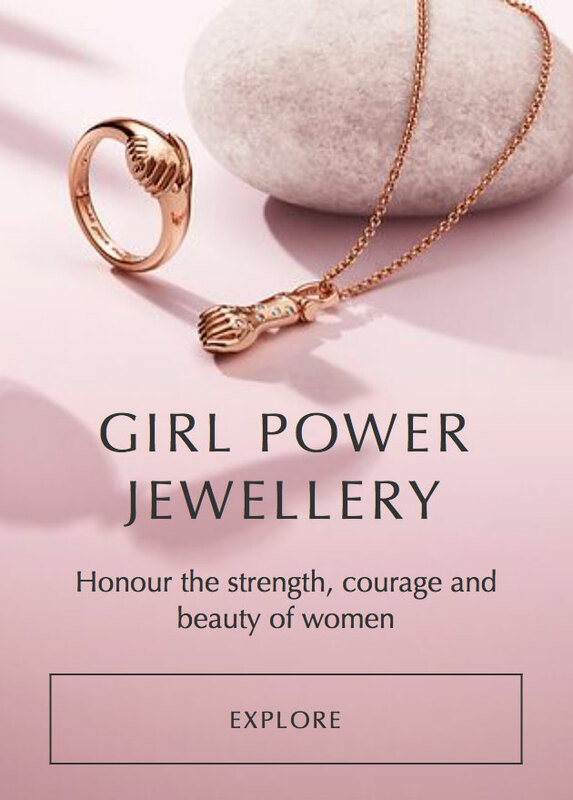 The recent PANDORA Spring Collection was especially refreshing as many of the charms featured simple, beautiful designs in plain silver, without lots of stones or enamel. 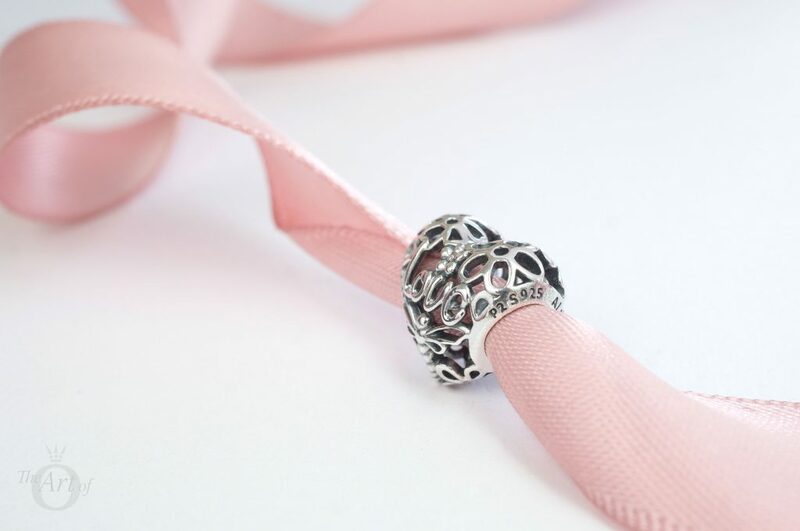 Like the previously reviewed Enchanted Heart Tassel Pendant, the PANDORA Promise of Spring (797046) charm has a splendid composition and there isn’t a cubic zirconia in sight! 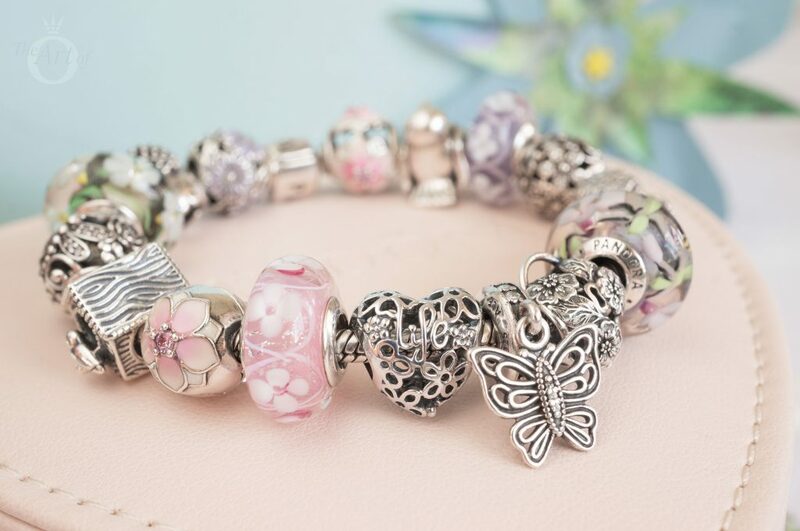 The PANDORA Promise of Spring charm highlights my favourite aspects of Spring; dragonflies and flowers. After long Winters I would eagerly watch for the first burst of Snow Drops and then later the cheerful sunniness of Daffodils and know Spring was on its way. 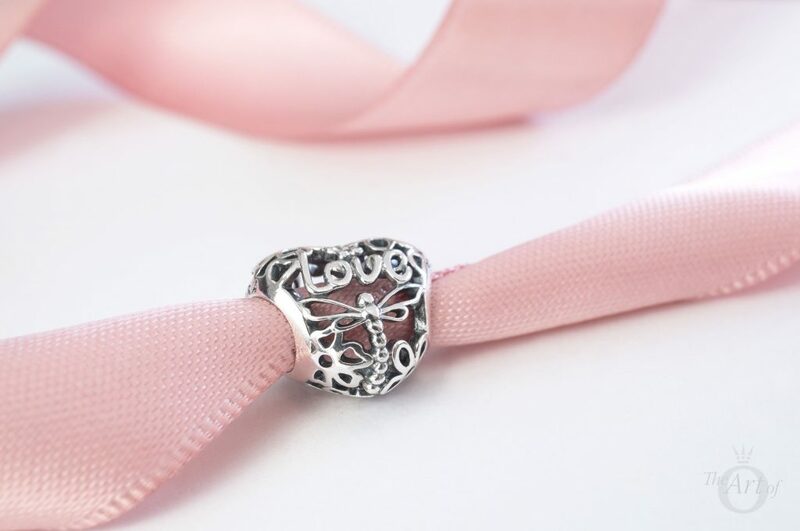 One face of the Promise of Spring charm includes the word ‘Love’ in a pretty script and a sweet dragonfly poised below. Three styles of flowers decorate the second face of the Promise of Spring charm and the word ‘Life’ sits between the two smaller flowers. To me they look like cute little violets and the larger flowers could be Windflowers (Canada anemone) and Primroses but I am not a horticulturist and welcome any other ideas! The various elements which encircle the charm are a combination of flat and smooth, and embossed and rounded. The use of multiple depths creates additional interest and emphasises the words ‘Love’ and ‘life’ without any need of enamel detail or gemstones. 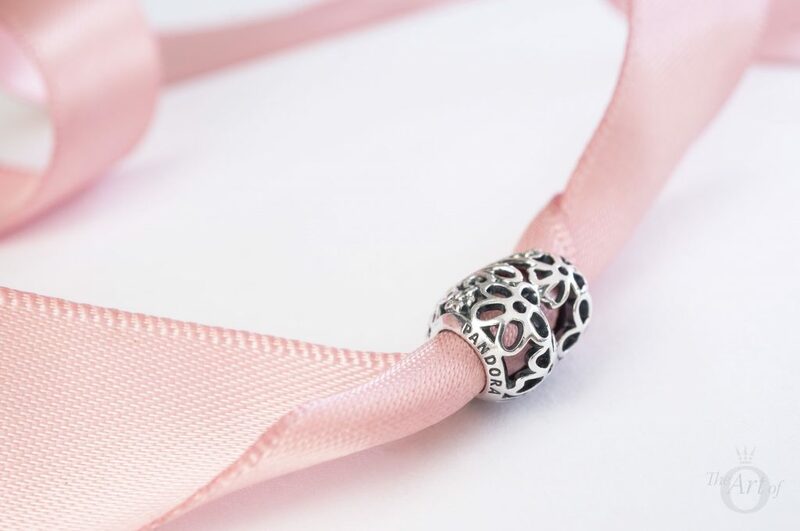 As an openwork charm, the Promise of Spring charm is quite lightweight and the lattice style of the heart shaped charm provides added interest as you glimpse the bracelet beneath. 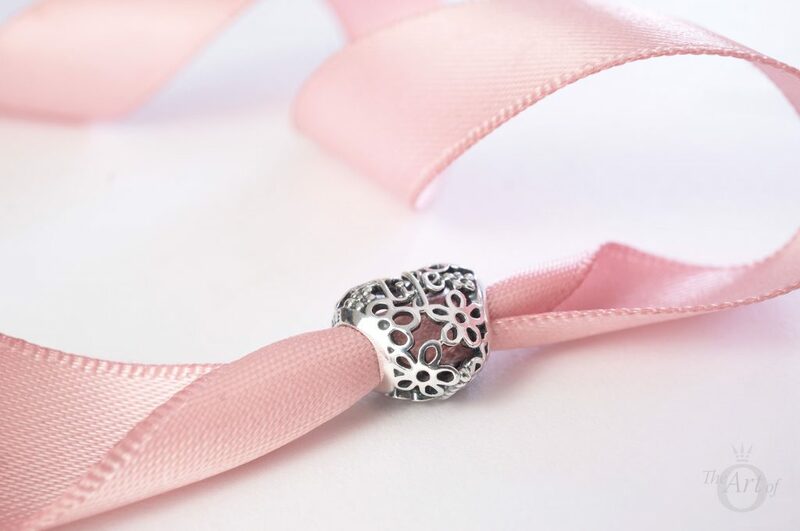 The new PANDORA hallmark, ‘P2 S925 ALE’, is tucked away on one edge of the Promise of Spring charm. 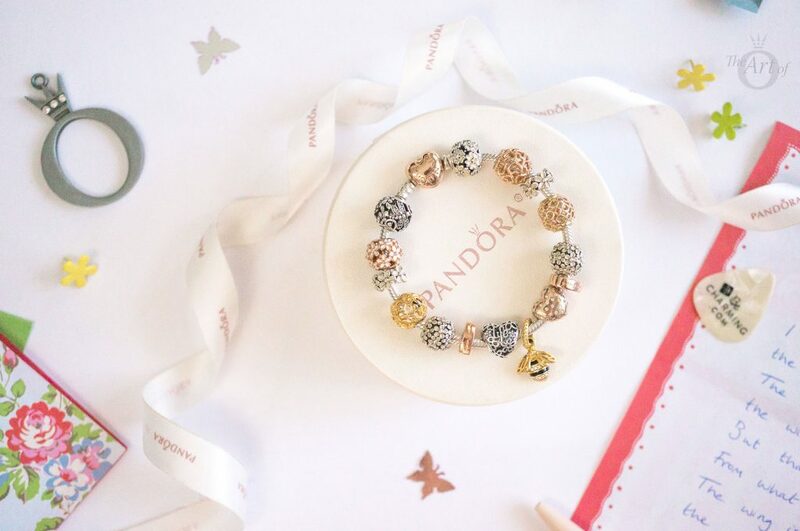 The ‘PANDORA’ hallmark is engraved on the opposite edge of the Promise of Spring charm. My first styling with the Promise of Spring charm combines pretty pinks, pale purples and grassy greens, along with little Spring creatures enjoying the warmth of the sun after a long cold Winter. The Vintage Butterfly Pendant (791255CZ) makes a striking centrepiece between the Promise of Spring and Floral Padlock (791397) charms. The Wildflower (791638CZ), Enchanted Garden (797014) and Pink (791665) and Purple Field of Flowers (791667) Murano charms provide dashes of colour throughout the design along with the delicate Magnolia Bloom Clips (792078PCZ). If you haven’t bought it yet, the retired Purple Field of Flowers charm is currently in the sale on the UK PANDORA eStore for £19. I’m officially twitterpated with my second Disney inspired design set on the PANDORA Disney Mickey Bracelet (590731CZ)! The Promise of Spring charm provides symmetry to the PANDORA Disney Mickey & Minnie Love Icon (791957CZ) charm and Tinker Bell’s Dress (792138EN93) flitters at the centre. 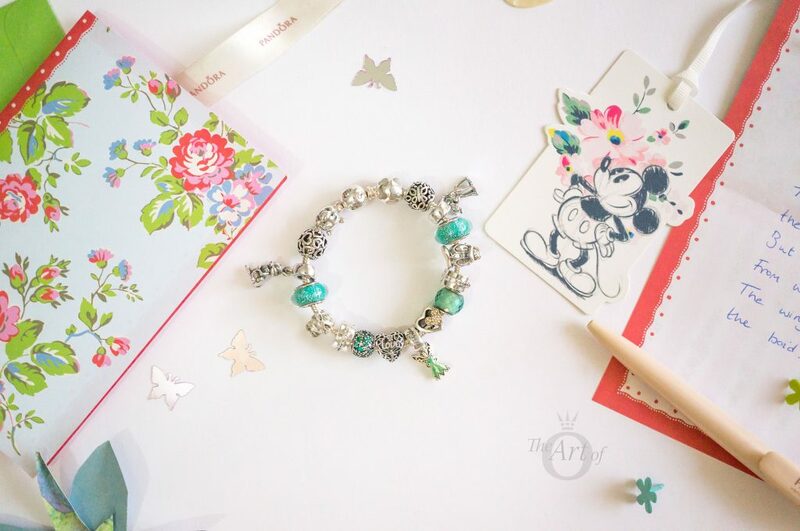 The gorgeous teals and greens from the Ocean Mosaic Pavé (791261MCZMX), Green Petite Facet (791499SGQ) and Disney Jasmine’s Signature Colour Murano (791648) charms provide a Springtime freshness and compliment Tink perfectly! The adorable Thumper (796342) and Bambi (796462) dangle charms sit at opposite sides of the bracelet to provide balance and the glittering Shining Path Clips (791972CZ) represent the twinkle of Tink’s pixie dust. Spring wouldn’t be Spring without darling fluffy ducklings and so this styling includes two of the cutest ducks around with the Donald (792136) and Daisy Duck Portrait (792137) charms. 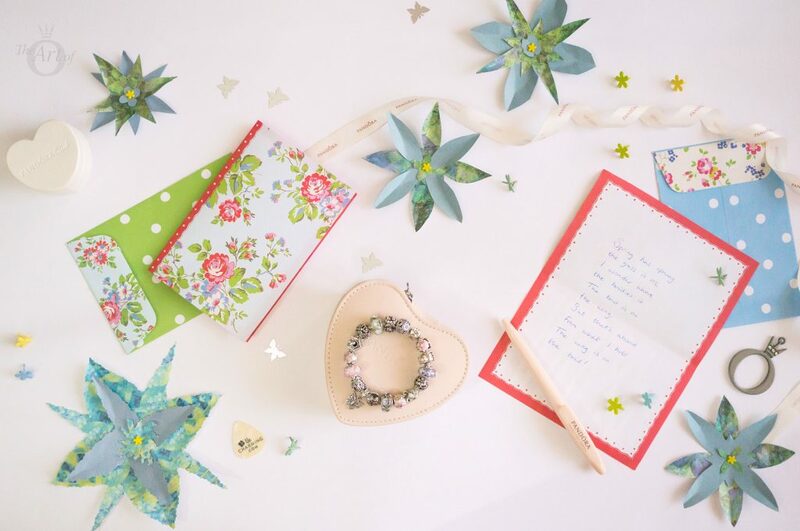 My third styling with the Promise of Spring charm is a light as a breath! 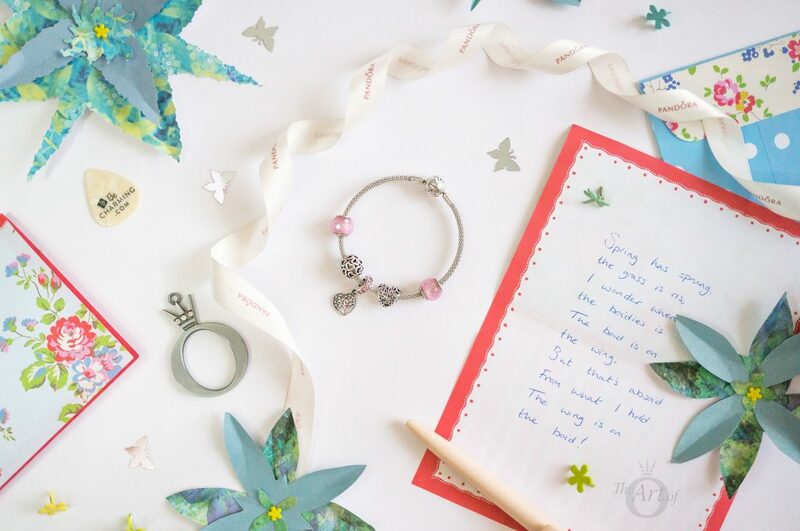 I love the look of the Mesh Bracelet (596543) peeping through the Open Your Heart (790964) and Promise of Spring charms. The pale rose from the Pink Petite Facet (791499PCZ) charms adds a glowing warmth to the bracelet and the cut cubic zirconia stone creates dancing beams of light. 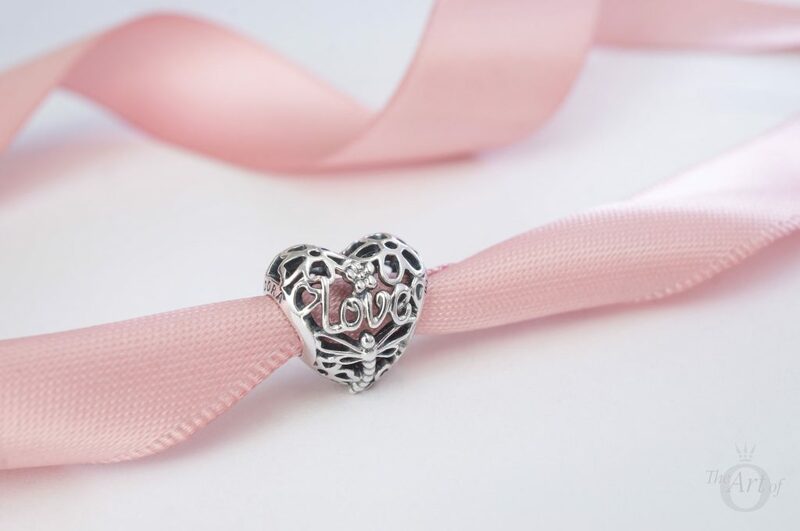 The centrepiece of the design is the sweet Tree of Love Dangle (796592CZSMX) which is perfect for a Spring theme with its tree of flowering hearts and pretty pinks. 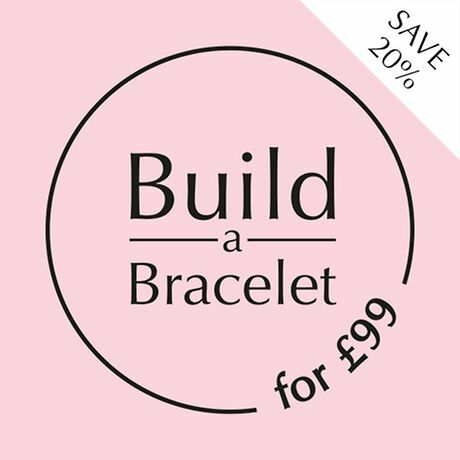 My fourth and final styling with the Promise of Spring charm incorporates silver, PANDORA Rose, PANDORA Shine and my lone 14k gold charm on the PANDORA Rose Heart Clasp Bracelet (580719). As Spring is a time of new life and birth, this design links love, bees and flowers in blushing hues. The stunning PANDORA Shine Queen Bee Pendant (367075EN16) flies majestically at the centre, surrounded by the Promise of Spring and PANDORA Rose Sparkle of Love (781241CZ) charms. 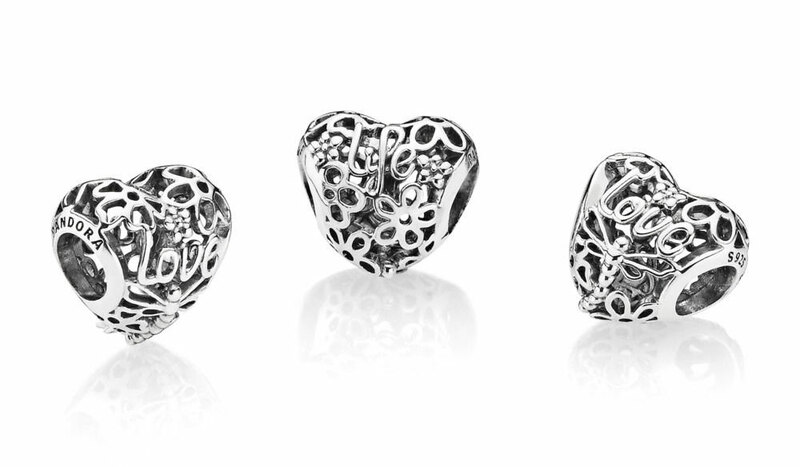 The PANDORA Rose Two Hearts Spacers (786559CZR) bolster the love theme with the romantic inscription ‘you & me’. The cadge like structure of the PANDORA Shine Honeybee (767023EN16) charm is reflected in the openwork of the dreamy 14k gold Celtic Circles (750811TPK) charm. A cool breeze is carried through the design with the clean, white enamel details of the Darling Daisy Meadow Clips (791494EN12), Darling Dasies Spacers (791495EN12), White Primrose Meadow (791488EN12) and the PANDORA Rose Darling Daisy Meadow (780004EN12) charms. 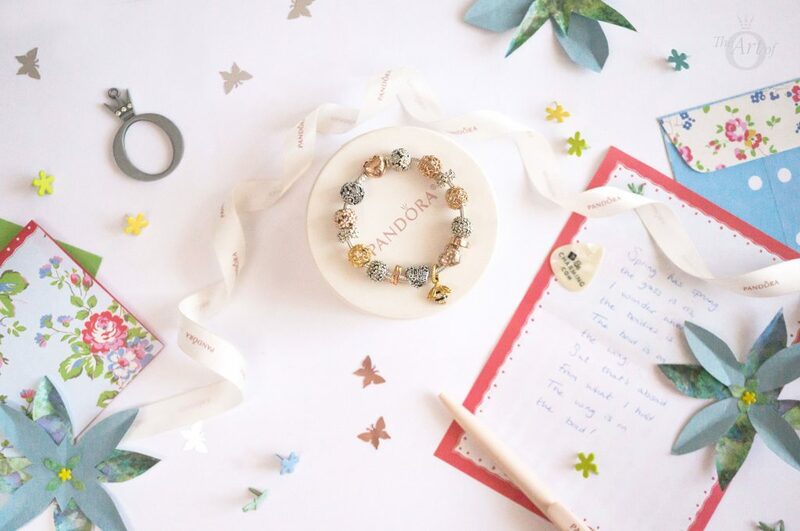 My verdict on the PANDORA Promise of Spring charm? It's put a spring in my step! 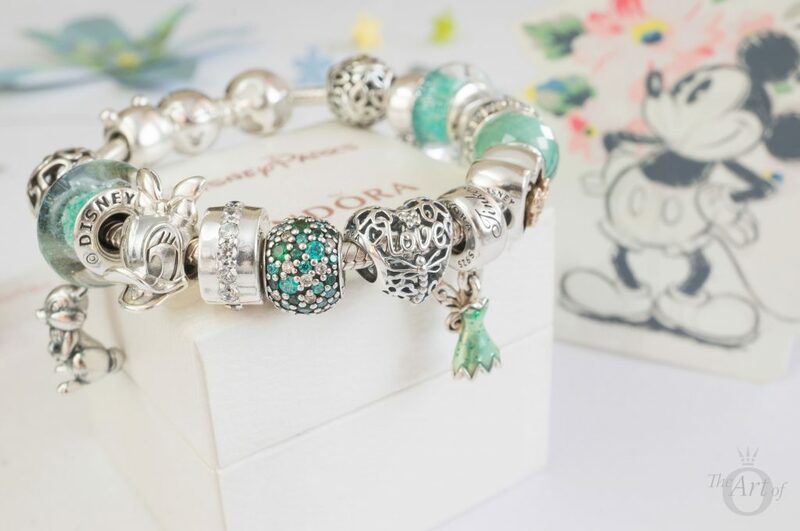 The Promise of Spring charm gets 10/10 for its fantastic value, creative design and versatility! The only drop on the score is with the wow factor as it isn’t really a charm that shouts out for attention and instead has a discreet, subtle beauty. 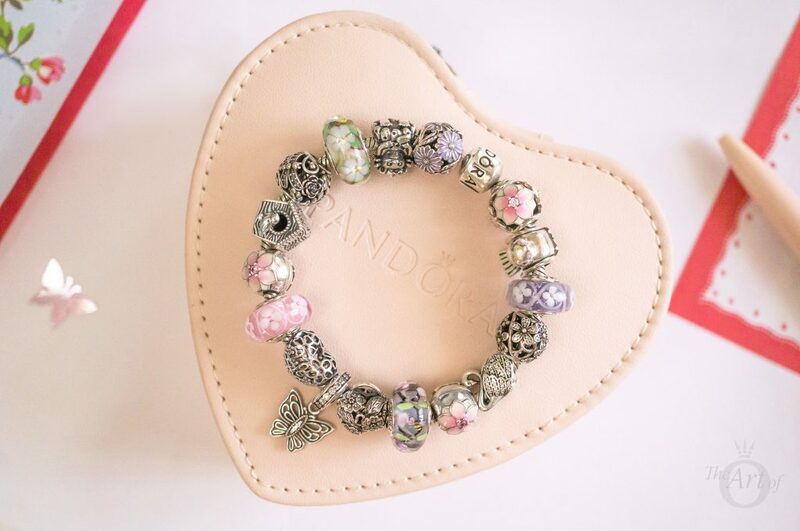 In the UK the PANDORA Promise of Spring Charm (797046) is £20 and is available from the PANDORA UK eStore. Thank you! They are my favourite stylings too. It is a really lovely charm but I think a lot of fans have overlooked it as it doesn’t have a big wow factor. I love dragonflies and it was the dragonfly detail that first drew my interest. I’m sure you will love if you decide to go ahead a purchase it. Thanks for commenting and enjoy your week! 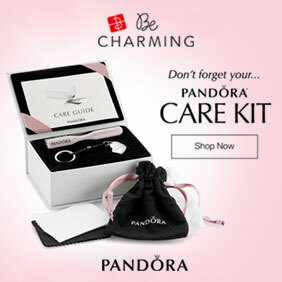 It’s nice to see Pandora are still releasing these inexpensive openwork charms. 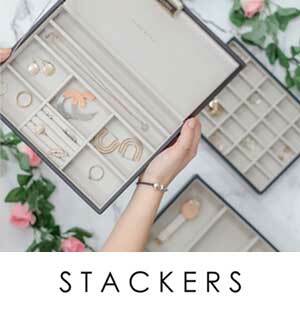 I think all your stylings for this charm are lovely which shows what a versatile charm it is. Thanks for the review. 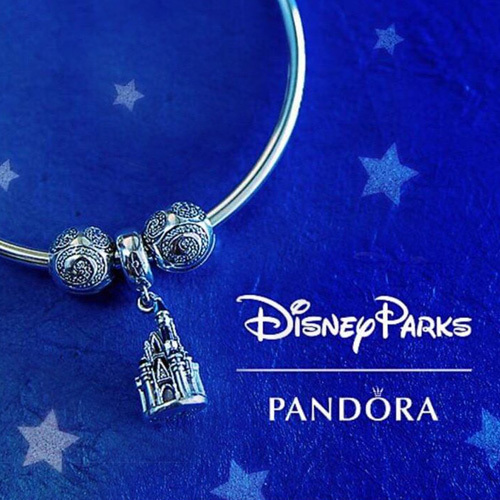 I completely agree that it’s nice PANDORA are releasing more inexpensive charms. The spring collection had quite a few choices under the £30 price bracket. It makes for a nice treat for yourself! Thanks for commenting and have a great start to your week! Thank you so much for your kind comment. 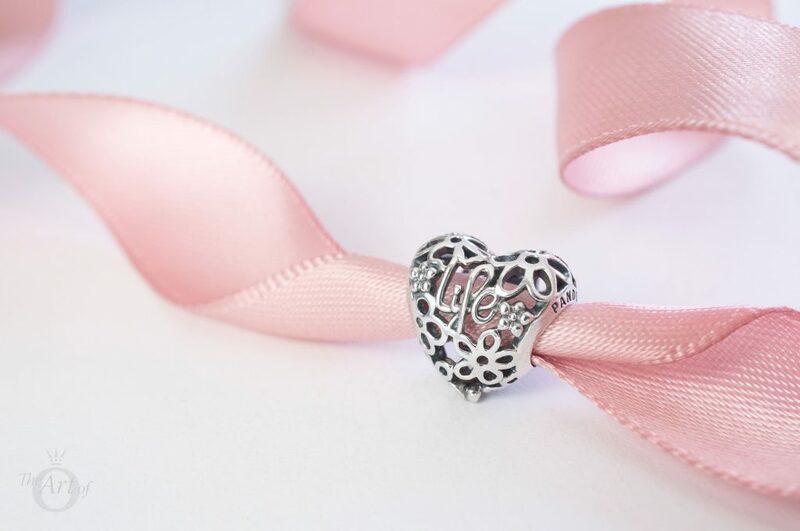 It is a really lovely charm and I don’t think the stock images did it justice at all. 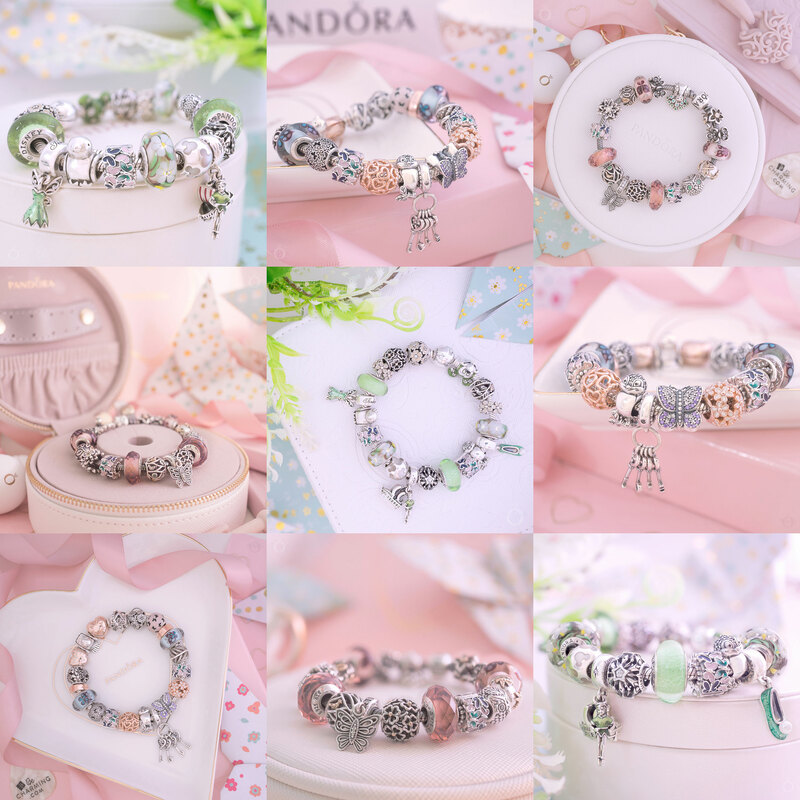 I hope PANDORA continue to produce charms like this as they are a less expensive and can be a lot more compatible than charms with enamel and stones. Although both can have their use for example the Dreamy Dragonfly has a few clear cubic zirconia stones and it suits it perfectly. styled it. So versatile indeed! I don’t think you are the only one, it seems quite a few overlooked the Promise of Spring charm. The little dragonfly that features on the charm is what really captured my attention as I love dragonflies. 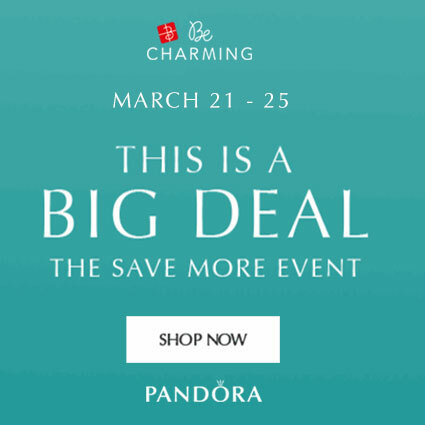 I am really happy that PANDORA is releasing more beautiful yet simple charms like the Promise of Spring and the Dreamy Dragonfly charm.